These days our Smartphones are more important than our computers. Almost everyone has a Smartphone of some description. Our Smartphones are basically computers in themselves, they are just as powerful and have almost all of the functionality you have come to expect from the traditional desktop & laptop computers. Just this year more people search the internet using a Smartphone than they did by using their laptops or desktops. That being said, you would have anti-virus protection installed on your computer, to protect yourself online from malicious spyware, malware and virus’es etc, why treat your smartphone any differently. With over 100 million downloads so far AVG are one of the better antivirus protection systems you can get your hands on. They offer protection for both Android and IOS. 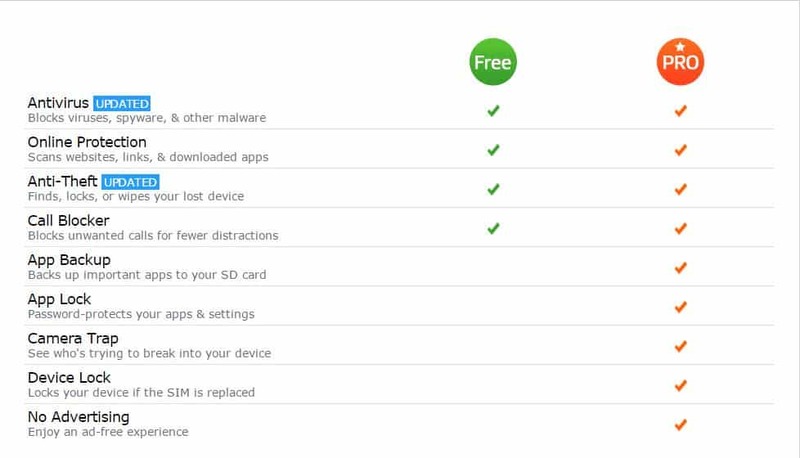 They have both a free and pro version of this anti-virus protection for your smartphone and it is recommended that you get it to protect all of your important files, photos, messages etc. The free version which I highly recommend gives protection such as Anti-Virus, Online Protection – it scans websites, links & downloads – Call Blocker & an Anti-Theft system. 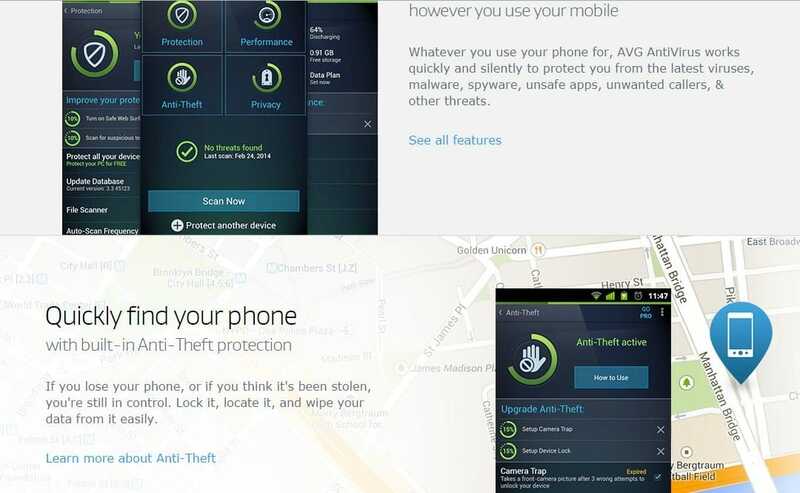 Whatever you use your phone for, AVG AntiVirus works quickly and silently to protect you from the latest viruses, malware, spyware, unsafe apps, unwanted callers, & other threats. If you lose your phone, or if you think it’s been stolen, you’re still in control. Lock it, locate it, and wipe your data from it easily. While the pro version certainly offers more, the free version is an excellent choice of protection with some nice little features to keep you, your information and phone safe while browsing online.